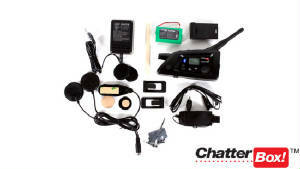 Two Brothers Racing has taken the guesswork out of extracting the maximum horsepower that is readily available for your motorcycle by combining TBR’s extensive tuning knowledge and performance product lineup into one ready-to-go kit: The TopTune Kit. TBR’s new TopTune Kit complements all of TBR’s performance exhaust systems and takes the guesswork out of the final stage of dialing-in your bike for maximum performance after you’ve installed a pipe. 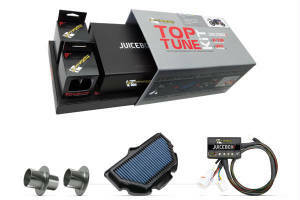 Performance and convenience are the key to the TBR TopTune Kit. 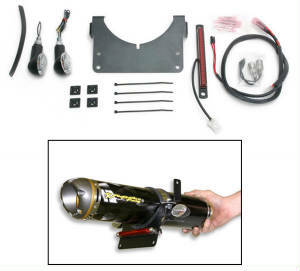 Dyno testing and track-based feedback provides TBR with the essential knowledge to assemble an all-in-one kit that is totally complementary to their exhaust systems for motorcycles and ATVs. 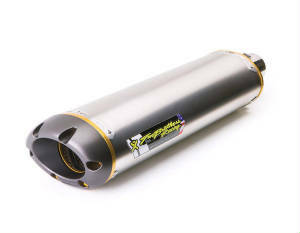 For use with a Two Brothers Racing performance exhaust system, this high quality stainless steel kit cleanly eliminates the rear fender giving your bike a more streamlined, race-ready appearance. 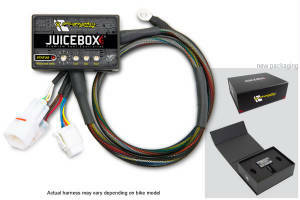 Kit includes mounts for your stock license plate and turn signals, all hardware is included. State-of-the-art pleated filter construction technologies, the TBR BroFilter™ high-flow air filters are easy to install and simple to clean, ensuring top level performance. Always. Increased throttle response, improved airflow from idle to rev-limiter and the TBR seal of quality ensure these filters have no equal. TBR BroFilter can be washed and cleaned up to 25 times. We recommend inspecting the filter every 30,000 miles or 12 months. 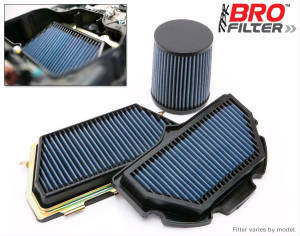 Bro Filter Air Filters utilize the stock air filtration system. 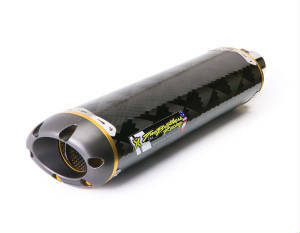 No modifications are required (unless noted for special applications), just replace the stock air filter in your motorcycle with a BroFilter Air Filter and go! 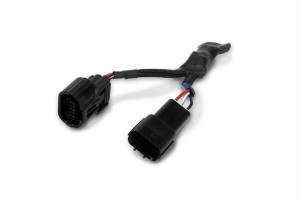 K&N Air Filters utilize the stock air filtration system. No modifications are required (unless noted for special applications), just replace the stock air filter in your motorcycle with a K&N Air Filter and go! Molded rubber sealing surfaces, edges and/or end caps combined with K&N's unique pleated cotton gauze medium creates a filter that is so durable K&N warrants it for ONE MILLION MILES or 10 years and K&N original equipment replacement filters are emissions legal in all 50 states. A K&N Air Filter can be washed and cleaned up to 25 times. 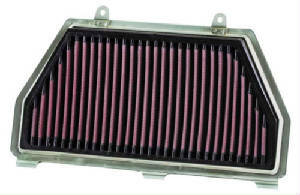 K&N recommends inspecting the filter every 30,000 miles or 12 months.